A wonderfully fresh citrus fragrance, composed like a fine perfume. With a lasting fragrance until the soap is finished. Just as fine as 125 years ago: Original Bronnleyʼs Lemon Soap. 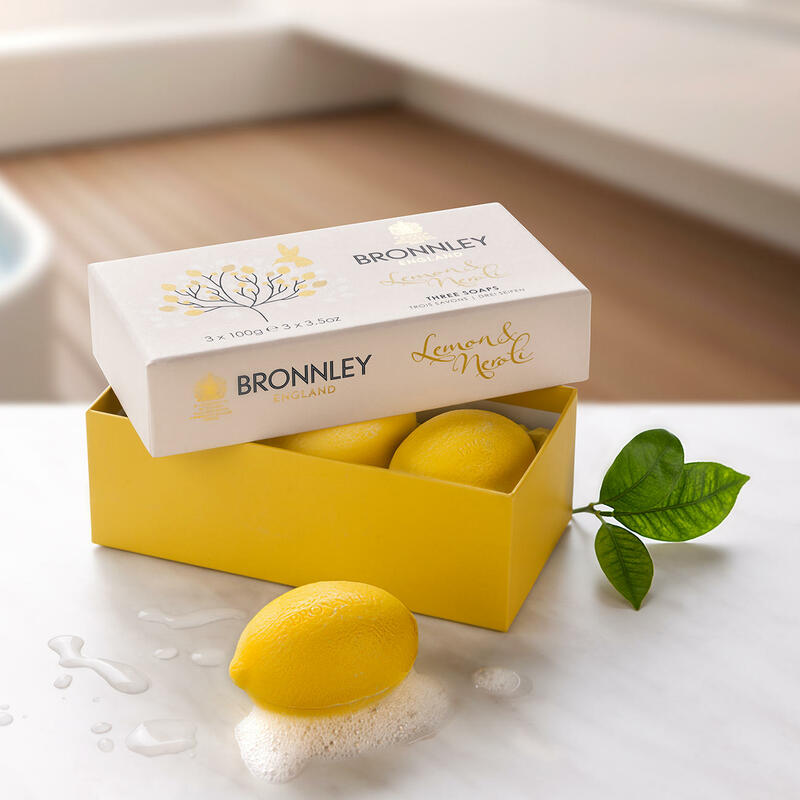 Bronnleyʼs Lemon Soap is a classic from the range of the time-honoured British soap maker. Made for the first time in 1892 – and almost unchanged until today. In terms of size, shape and texture, the soap looks just like real fruit, making it a decorative item for your kitchen, bathroom or guest cloakroom. With lemon and tangerine top notes, a heart note of lemon blossoms and neroli, over a base of precious woods. This is in part because of the particularly high content of premium quality perfume oil. It’s also due to the triple-milling method used which makes the precious scented oils disperse evenly and permeate every inch of the soap. At the same time the soap gets its fine texture and ability to produce a particularly creamy lather. Size 8 x 5cm (3.1" x 2.0"). Weight approx. 100g (3.5 oz) each. From the British soap specialist Bronnley. Since 1884. Founder James Bronnley studied the art of perfume and soap making in Paris before founding his company H. Bronnley & Co in 1884 when he was only 19. By using only the finest, natural ingredients, he quickly gained the reputation for being the manufacturer of one of the best soaps in the world.